Hi Fuzzy Today!! 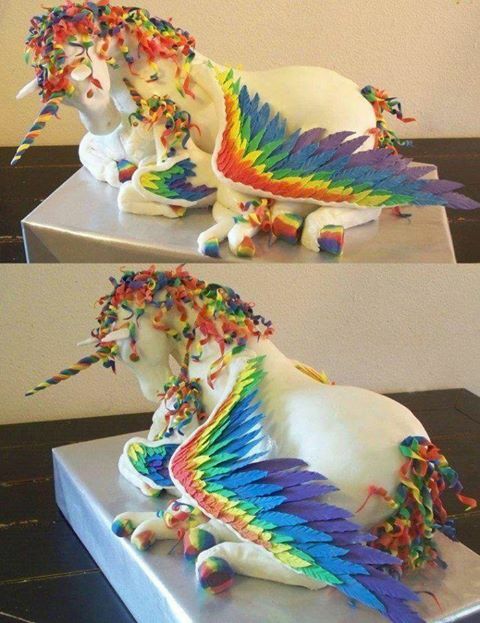 I’m so glad you like my Rainbow Pegacorn Mama and Baby Cake! My name is Heather Sherman and I am Art2Eat Cakes. This cake is from July of 2012, I have actually gotten much more extreme in my recent cake designs. You can find and Like me on Facebook, at https://www.facebook.com/Art2EatCakes and my own website with pics, tutorials and more at http://www.art2eatcakes.com. XXOO – Happy Rainbows!